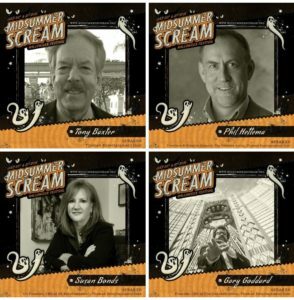 Midsummer Scream is honored to welcome industry luminaries Tony Baxter, Gary Goddard, Phil Hettema, and Susan Bonds to the Grand Ballroom, where they will open the convention’s weekend of world-class panel presentations with an insightful discussion on attraction design and how to properly mix fight and fun when creating iconic theme park rides and experiences around the world. Tony Baxter is a former Senior Vice President of Creative Development for Walt Disney Imagineering. 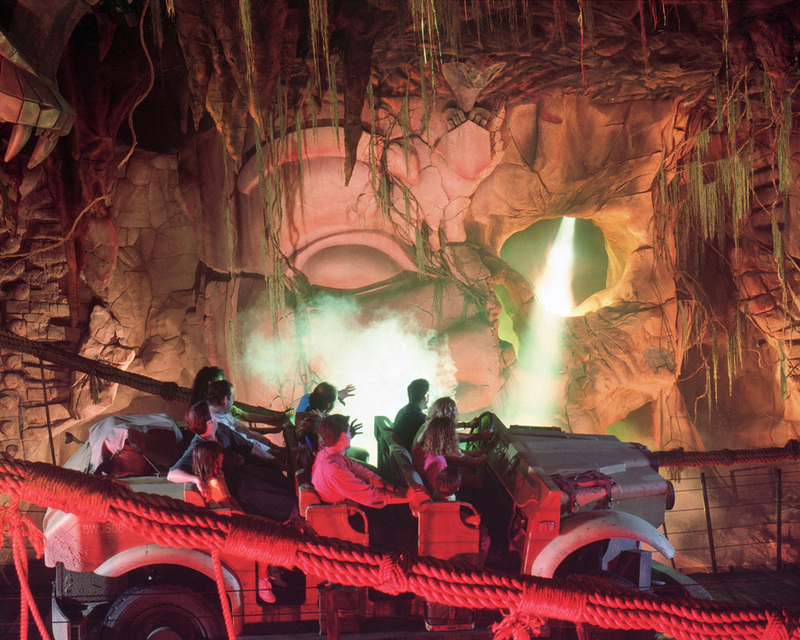 Many attractions that Tony had a hand in creating over the years definitely have “scare with flair” including Indiana Jones Adventure: Temple of the Forbidden Eye, Phantom Manor at Disneyland Paris, and Big Thunder Mountain Railroad. Gary Goddard, Founder and CEO of The Goddard Group, has overseen the development of incredible large-scale attractions and resorts for clients around the world for decades, including Universal, Disney, and Six Flags. Some of the more “intense” experiences that Gary helped create include The Adventures of Conan: A Sword and Sorcery Spectacular, Terminator 2 3-D: Battle Across Time, Ghostbusters Spooktacular, and Monster Plantation – just to name a few! Phil Hettema, President and Creative Executive of The Hettema Group, has been behind some of the greatest themed entertainment achievements of modern times. His creative portfolio includes – but is not at all limited to – thrilling attractions such as Back to the Future: The Ride, Backdraft, Jurassic Park: The Ride, and Men in Black: Alien Attack. Susan Bonds, President and CEO of 42 Entertainment, is a former Disney Imagineer who worked on several high-profile, high-intensity attractions including Indiana Jones Adventure: Temple of the Forbidden Eye, and Mission: SPACE. Susan served as Project Manager on what to date, is the most frightening mainstream theme park attraction ever created – The ExtraTERRORestrial Alien Encounter; it’s the stuff of legend, and the team will discuss it all in front of 1,000+ theme park fans in just a few days! This inspiring gathering of legendary creatives will be moderated by Rick West, who is Founder and Editor-in-Chief of Theme Park Adventure, as well as Show Writer for Rethink Leisure & Entertainment. It’s an incredible way to kick off the weekend – a spectacle of “E” Ticket proportions that will be nothing short of a scream! A Midsummer Scream! Frightful Attraction Design for Theme Park Audiences will take place Saturday, July 30th in the Grand Ballroom at the Long Beach Convention Center at 12 noon. Doors to the presentation open with the convention at 11 AM. Tickets for Midsummer Scream are now on sale at www.MidsummerScream.org. This entry was posted in Haunted Attractions, Home Page, Home Page Slider, News and tagged Gary Goddard, Halloween, Haunted Attraction, Midsummer Scream, Phil Hettema, Rick West, Susan Bonds, Tony Baxter. Bookmark the permalink.